Norlift Limited has a highly skilled and experienced team of engineers to repair and service all makes of forklift truck. Our aim is to rectify all breakdowns on site in minimum time and invonvenience. If a first time repair is not possible, our parts department can source 95% of parts within 24 hours. All our vans are very well stocked and carry a wide range of parts for all customer needs. We are always happy to discuss your requirements for servicing and repairs to your forklift. 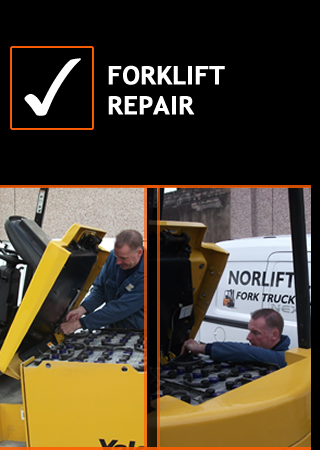 Contact Norlift Limited for much more about all of our forklift repairs in Manchester, Liverpool, Leeds, Merseyside, Lancashire, Cheshire, Preston, Stockport, Bolton, Wigan, Warrington, Rochdale, Bury, Oldham.